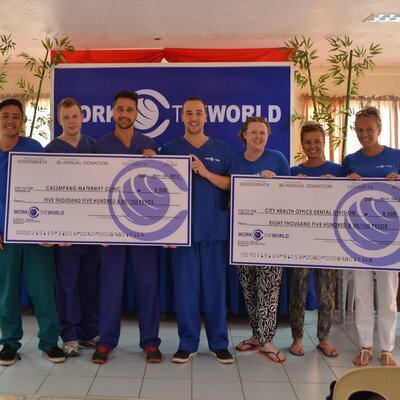 Work the World's aim is to continually build fair, sustainable, long-term partnerships with all of the hospitals and clinics with whom we're partnered. With both cultural and skills exchanges at the heart of what we do, we facilitate sustained and reliable communication at all times. In addition to regular financial contributions, we donate essential equipment to ensure key departments are operating as well as they can. To increase the positive impact of the cultural exchange aspect of our placements, we also offer hospital staff free English language tuition. This not only helps staff and students communicate effectively on the wards, but also helps staff with their personal development. The healthcare systems in the destinations we operate in typically lack resources. Our close, day-to-day working relationships with local staff help us to understand which resource gaps are preventing the delivery of adequate care. Where we can we fill these gaps, buying equipment for departments with the greatest and most immediate needs. This not only benefits patients, but also relieves pressure on staff by making the provision of care a more efficient, effective process. "WHEN Work the World STUDENTS COME IT'S EASY TO IDENTIFY EQUIPMENT GAPS THAT WE HAVE. WHEN WE SEE THESE GAPS, WORK THE WORLD FILLS THEM FOR US." Effia Nkwanta Regional Hospital in Ghana was in need of an oxygen concentrator. We sent them a brand new machine at the advice of local specialists, who estimated that with one they could save the lives of as many as 150 people per year. To our other partners we've donated laptops, medicine trolleys, dentistry curing lights, portable theatres, pulse oximeters, blood pressure monitors, thermometers, and more. 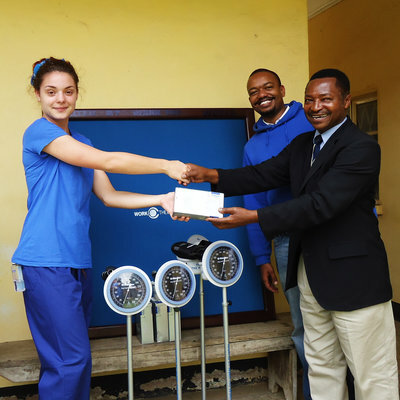 As well as equipment donations we also make sizeable financial contributions to all of our partner hospitals. In 2018 we sent over $550,000 to hospitals and clinics in all of our destinations. Supervising staff take great care to effectively guide students for the duration of their placement. We make a point of recognising them by financially rewarding them, personally, for their efforts. Our primary contribution to our partners is a fixed sum given to each and every hospital for every student we send. As Work the World continues to grow we're able to send more people to our hospital partners' in more destinations, meaning we can send increasingly more help to the places that will benefit most.